Manual handling isn’t just reserved for industries such as construction, it can also apply in the care industry, hospitality and retail amongst many more. Read ON! A manual handling awareness course should be a fundamental part of employee learning and development, particularly if you have a business that involves lifting, carrying, pulling or pushing items which could cause injury. A significant number of employees are affected by manual handling so good practice should be promoted and encouraged as widely as possible. 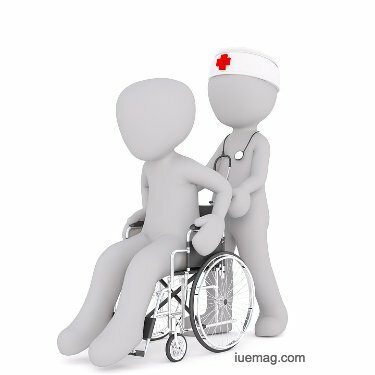 Manual handling is a practice used in many workplaces; moving equipment in industry, handling supplies or catering deliveries in hospitality and safely moving people in the care sector for example. Poor manual handling practices can result in accidents which not only present a risk to employees, but also to others. In the care sector, poor manual handling knowledge can result in pain and discomfort when you are lifting or moving patients. Furthermore, failure to follow procedure or use the incorrect equipment can result in employees suffering from musculoskeletal or back disorders which can lead to long periods of sickness absence. All of these things can have a detrimental impact on a business. Stopping an incident before it happens is always better than addressing the problem after an accident. That’s where training proves so beneficial. There are many reasons why manual handling training could benefit your business. Employees with poor awareness of the regulations or best practice in relation to manual handling are more likely to have an accident or work in a way that could cause problems for other people. A manual handling awareness course is designed to enhance understanding of when it could become a problem and the best ways that employees and businesses can reduce risks. Training in manual handling will allow employees to identify the risks associated with their immediate work area and duties, with a key emphasis on promoting the importance of safety at work. Increased awareness allows employees to understand the consequences of failing to comply with manual handling and the implications for themselves and the business. One of the main purposes of manual handling awareness training is to educate employees on the importance of best practice. When an employee attends the training, they will be taught on what best practice is, how to recognise it and the most effective ways to maintain good working practices in every area of their work. Courses should provide a clear comparison of what good practice and bad practice look like so employees can clearly differentiate between the two. Good manual handling training will also cover the use of the right equipment such as mechanical aids where needed. Video training can be incorporated into training and this allows businesses to accurately demonstrate how the mechanical aid or safety equipment is to be used correctly. One of the main benefits of online learning in particular is that it can be tailored toward specific environments and workplaces. When manual handling training is delivered, and it has been tailored to individual workplaces, employees are more likely to apply it to their everyday work, rather than it being general training that doesn’t really work with their business. Delivering online training can increase knowledge retention, particularly if the training includes virtual tasks and activities that allow trainees to put what they have learned into practice, albeit in a virtual world. This not only improves confidence but increases the likelihood of employees actually implementing what they have learned properly when they return to their duties. A manual handling awareness course brings an endless stream of benefits to businesses but perhaps one of the most significant is the ability to create a safer, more content workforce who understand their duties and responsibilities and recognise that employers take their health and safety seriously.